I have something that I am happy to unveil to you today: The Michigan Patriot Action Center. A team of conservative patriots in Oakland County have been working on it for several months, and we are very proud of what we have come up with! This legislative center will help you stay up-to-date on bills that directly impact your freedom and your pocketbook. It is regularly updated with new legislative action updates every week. So you always know the status of each bill, which committee the bill is in, when a relevant committee hearing will take place, basic talking points about the legislation, and receive instructions on how to take productive action to move the bill forward. All of this information is available on the internet but it is often scattered and difficult to find. Sometimes the legislation itself is difficult to decipher because it was written by lobbyists in a deliberately vague manner, and activists might not know how to describe it. That is why we analyze each bill, and provide a basic script for you to use during outreach. We are centralize all of the pertinent information to make productive action much easier. I do bill tracking around the country for the Tenth Amendment Center, and sometimes only a few dozen phone calls can move a bill in the right direction so if we utilize this bill center to its full potential, we can all make a real difference. Additionally, we are always working to improve the project. Right now, it is hosted from Google docs which is very easy to use. We are always looking to expand so if you have any comments, please email us. We are also organizing a group of individuals in each state rep district and state sen district to increase the power of this center. We can be reached at 11thlegislativeinfo@gmail.com so please send all questions, comments, requests to help, or anything else to that e-mail address. The Bill Center is a project of the 11th Congressional District Republican Majority Committee, but the cool thing about it is that it is applicable throughout the state. So feel free to send it around, or just send out individual action alerts that you find to be helpful. Help get the word out because our legislators really need the push in the right direction. There are many good bills that need to be advanced but are sitting dormant while bad bills are moving fast through the legislature and need to be killed. We can spring into action and encourage others to do so, and little by little, remake the legislature into something that isn’t a disgrace. ← This Is What We Are Paying For. Mr. Trejo, I like Faygo as much as the next guy, but can you tell me why I'm seeing Juggalo4Peace when I'm ready to click on the first link under latest updates? 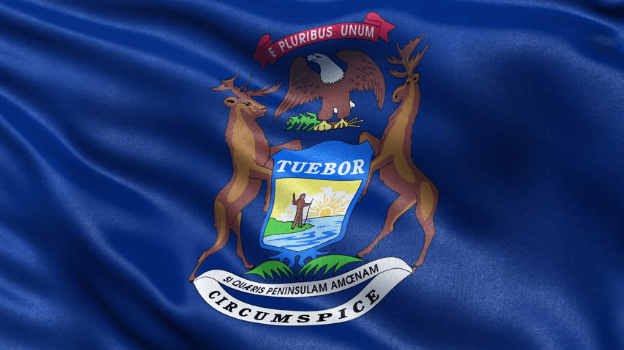 Michigan House Bill's: HB 4657; HB 4658. “To prevent certain collection practices for licensed Debt Collectors”. These laws will give us more protection from abusive and criminal Debt Collectors and Repossession People. This legislation will put Michigan First. Please contact your State Representative to support these much needed Laws regarding the abusive Debt Collection and Repossession activites. Ill be adding this email to our notices. Youse guys are great!